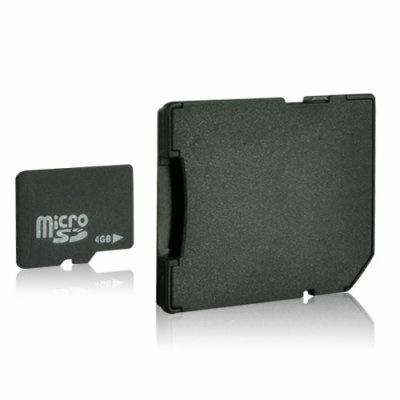 Successfully Added 4GB Micro SD Card - Micro SD to SD Adapter to your Shopping Cart. Micro SD card (4 GB), also referred to as a TF card, with an added SD card adapter for placing directly into a computer SD memory card slot. Don't be fooled by the low price, these are 100% factory direct brand new TF cards. The original holographic seals and individual plastic cases help ensure you get the best quality possible, while still being at a low direct to you wholesale price. Brought to you from the leader in wholesale direct from China electronics, Chinavasion. Each microSD 4GB memory card comes with an SD adapter that gives you the convenience to use it as a full-size secure digital (SD) card in SD-enabled devices.